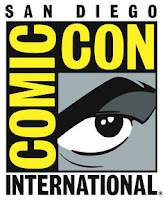 San Diego Comic-Con 2012 (July 12-15) is only about one week away, and if you're interested in making comics or breaking into the industry, then mark your calendar for FIVE Comics Experience panels focused on writing for comics, digital art, and breaking (and staying) "in!" So you want to make comics? This panel is your first step toward actually doing it! Former Marvel and IDW editor and Comics Experience founder Andy Schmidt (X-Men, Annihilation, G.I. Joe, 5 Days to Die) discusses in detail the ins and outs of the comic industry -- specifically, what it takes to break into comics and how it's done. This is the panel that no writer or artist dare miss. Hosted by Comics Experience. Digital artist pros David Marquez (Ultimate Spider-Man) and Brian Haberlin (Spawn, Anomaly) join former Marvel and IDW editor and Comics Experience founder Andy Schmidt (X-Men, G.I. Joe) for the first of two in-depth panels on how to create digital comics and how to use the medium to its full effect. In part 1, they take a deep dive into creating comics using digital tools and media as well as making effective storytelling decisions in a digital medium. This is a panel no artist can miss. Part 2 is at 7:00pm. David Marquez (Ultimate Spider-Man) and Comic-Rocket.com founder Tim Shields join former Marvel and IDW editor and Comics Experience founder Andy Schmidt (X-Men, G.I. Joe) and ComiXology co-founder John Roberts for this final panel on how to create digital comics and how to use the medium to its full effect. In part 2, they discuss the future of comics and how digitally generated art can craft comics specifically for digital devices and how that differs from print. In other words, they illuminate how to get the most out of creating digital comics. Hosted by Comics Experience. Josh Fialkov (I, Vampire, Last of the Greats, Echo), Peter David (X-Factor, Incredible Hulk), and former Marvel and IDW editor and comics writer Andy Schmidt (X-Men, G.I. Joe, 5 Days to Die) present an honest and informative discussion on the art of writing for comics. Topics include process, enhancing creativity, and keeping your work honest. Want to write comics? This is the place to start! Hosted by Comics Experience. This is part 1 of a 2-part panel that continues tonight at 7:00pm. Josh Fialkov (I, Vampire, Last of the Greats, Echo) and former Marvel and IDW editor and comics writer Andy Schmidt (X-Men, G.I. Joe, 5 Days to Die) present an honest and informative discussion on the art of writing for comics. Take a more advanced look into how to craft your stories and get your idea from a notion to the printed page! Hosted by Comics Experience.